THIS is not one of those ‘coffee-table’ books that well-meaning relatives give you for Christmas because you ‘like trains’. Nor is it a product of amateurs churning out volumes that then languish in charity shops for £1.99 apiece. ‘Disconnected’ is a serious, thoroughly researched sequel to the authors’ Holding the Line, published by OPC in 2012. Thus we learn how a civil servant and a respected railway journalist risked their careers by leaking details of the Serpell Report to the press, creating such a media outcry that the report’s proposals were thrown to the winds. 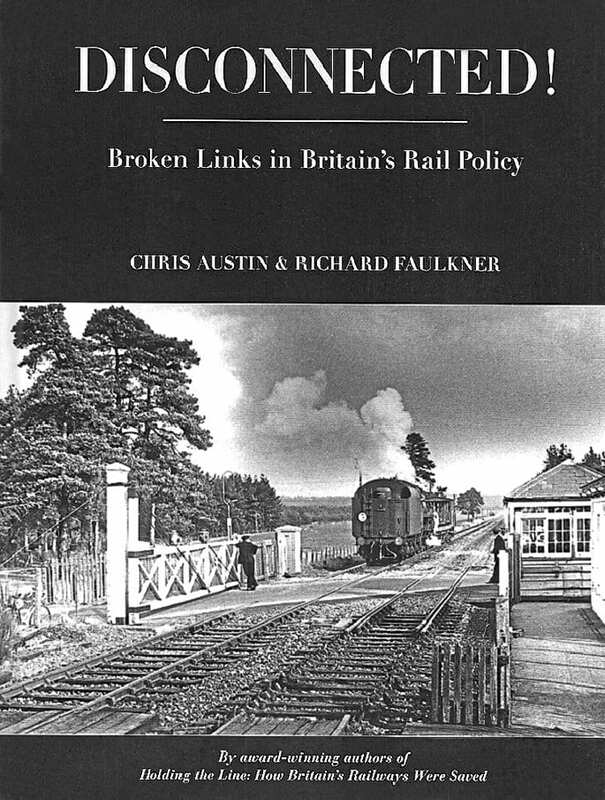 With assistance from Hansard and the National Archive Centre, the authors provide proof of the negative attitude to railways prevalent during the 1960s and ‘70s among civil servants and even at BRB HQ. A particular eye-opener is the comparison between the costly and counter-productive widening of the A34 Oxford-Southampton trunk road and the fate of the Didcot-Newbury-Southampton railway that could have been fettled up to carry container trains, releasing capacity via Reading.